Welcome to those of you joining us from Disney Babies Blog and those of you just hopping aboard. We are the 2nd stop on our Magical Blogorail. While the Epcot International Food and Wine Festival is not necessarily a kid-friendly event, it’s philosophy is one that can be taught to kids. One of the big take-aways from the event is learning about the foods of different countries. It is a good opportunity to teach kids about different cultures from around the world through food. We live in a “pizza and chicken nuggets” world and many parents complain that those are the only foods their kids will eat. I believe that if you expose kids to a wide variety of foods, they will become more adventurous eaters. 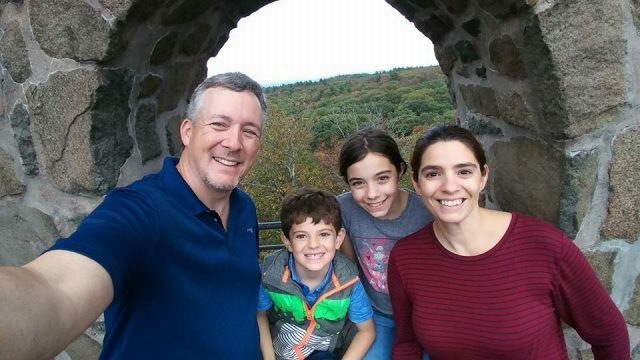 Since we are the “at home” people, we thought it would be fun to create a party that will help promote the spirit of the Epcot International Food and Wine Festival in a kid-friendly way. 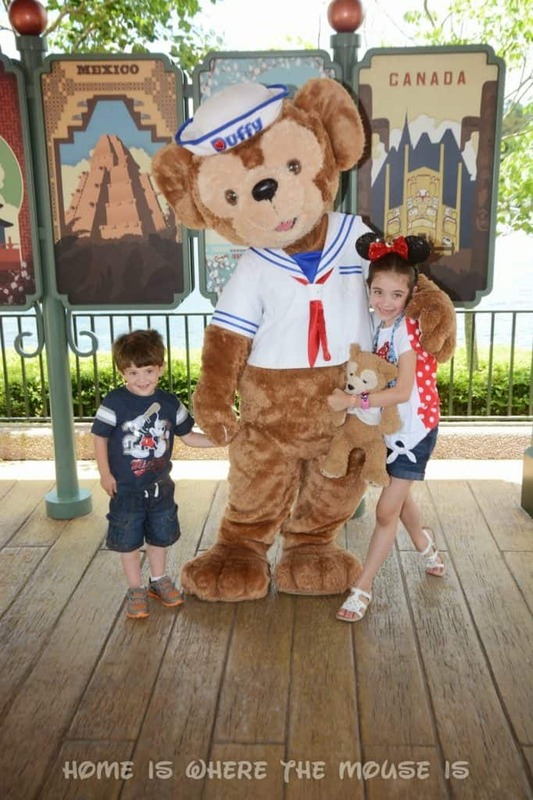 Our kids are obsessed with Duffy the Disney Bear and since his home is in World Showcase, we thought he would be the perfect host for this party. While we haven’t had a chance to throw this party yet, here is what we have planned. The first step in creating the menu is to check out the actual menus from the Marketplaces at the Epcot International Food and Wine Festival. You can find all the information on the Walt Disney World Website. Plan the menu with your kids. They are more likely to try something new if they have a choice. Choose one item from 4-5 countries to sample. Prepare the foods appetizer style just like the festival. Just like at the festival, kids can get their own passport for the party. After they try each food they will get a stamp. They will also have the opportunity to give their opinion by circling what they thought of each item. 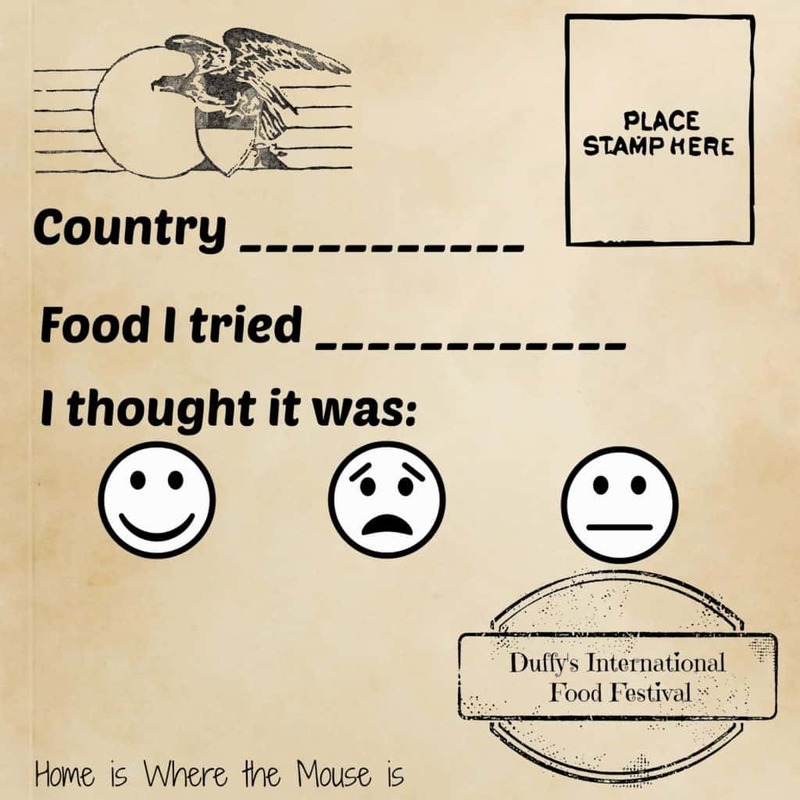 Duffy’s International Food Festival will open up a whole new world of food for kids. I can’t wait to actually throw this party for my kids. Stay tuned for all of the details. Thank you for joining us today. Your next stop on the Magical Blogorail Loop is Rolling with the Magic. This is adorable! You never cease to amaze me with your creativity! We'll be attending F&W this year with our little ones. I'm sure they won't enjoy it, but trying to find kid friendly foods such as these may help! Have your kids done the festival before? Our kids (and us) will be doing the festival for the first time this year. I plan to make some of these dishes ahead of time. That way if they liked them, they can have again at the festival and feel a part of the action! What a fun idea! I want to come to one of your parties sometime! The passport is a really fun idea! Thanks, Heidi! The teacher in me couldn't resist including an activity to go along with all of that eating. Love this idea! The food sounds delicious…and this is coming from someone who was a pizza and chicken nuggets person until just a couple years ago! Thanks, Kimberly! I'm glad to hear you are broadening your horizons as an eater. I was a picky eater as a kid and am trying to not have my kids follow in my footsteps. This is the CUTEST idea, and my aspiring chef would love to throw a party like this! Definitely putting it on our list of to-do's! That's such a cool idea! I wonder if we could adapt this for our brownie troop. Which was your kids favorite recipe? Those are great choices – love the idea of getting the kids excited for new foods! Wow, what a great idea! That sounds like a lot of fun, and I can't wait to hear how it turned out at your house! Thanks for sharing! What a fun idea. I like letting them chose. I also may steal the idea of the passport for our upcoming trip. I think it would be fun to see what the kids think. I really hope that my future kids like to sample different cuisines and I think the Epcot Food & Wine Festival is the perfect place to try! I love the passport idea – great choices!